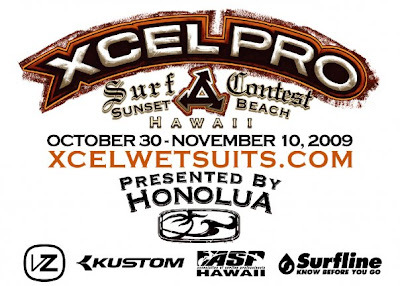 Tomorrow we could see the kick off to Day 1 of the 26th Annual Xcel Pro presented by Honolua. The surf is predicted to be in the 8-10 foot range and building into Sunday! 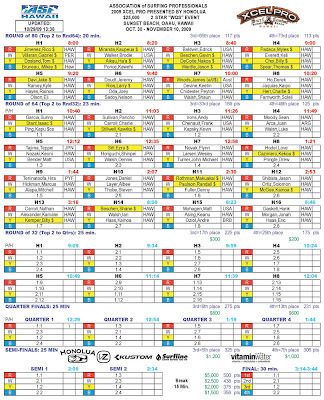 There are 8 heats in the first round (Round of 80) and then 16 heats in the second round (Round of 64). If the event does run tomorrow they will complete the Round of 80 and first 13 heats of the Round of 64, with the event wrapping up on the next day of competition. Some of the biggest names in surfing will be turning up for this event so you surely don't want to miss out on the live action! The likes of Sunny Garcia, Andy Irons and defending Champion Pancho Sullivan have all entered. Other legends who will be competing are Derek Ho, Larry Rios and Kaipo Jaquias!!! Whew, its gonna be on! Check the heat draw.